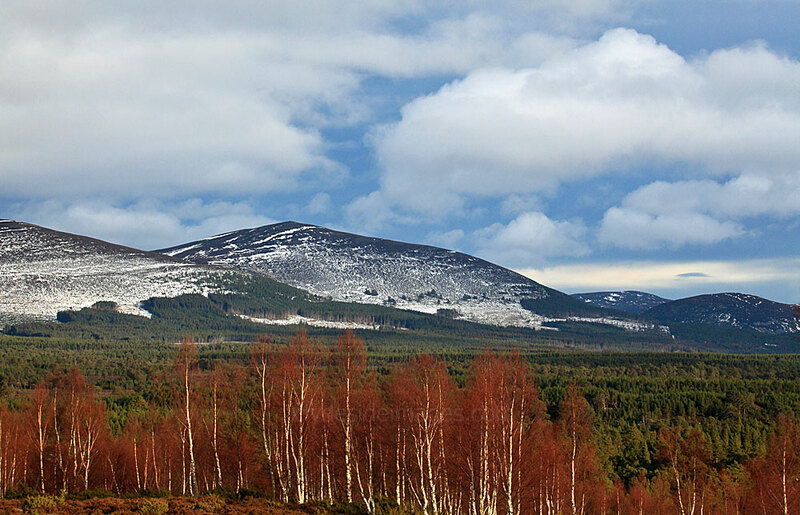 The northern corries of Cairn Gorm seen from Loch Morlich on a frosty winter`s morning. Fairly tired after trekking over the Feshie hills the day before, I opted for a shorter trip, namely Cairn Gorm. The ski road car park in Coire Cas is at a height of 640 metres and makes Cairn Gorm one of the most climbed of all the Munros. The mountainside is obviously badly scarred and spoiled by unsightly chair lifts and snow fences but the ground was very dry underfoot and ideal for walking. After pausing at the weather station I wandered over the plateau as far as Cairn Lochan. An R.A.F. Mountain Rescue Team was out training and I watched them scramble up one of the ridges bordering Coire an t-Sneachda. I started from the Campsite in Glenmore, giving myself an unnecessary extra couple of miles. 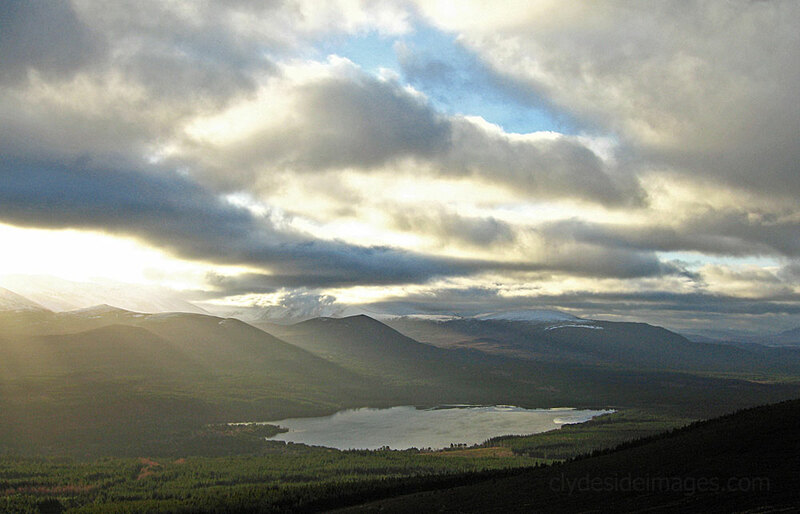 I later discovered I could`ve parked at the end of the road, to the east of Glenmore Lodge and saved some energy. Walking through the Pass of Ryvoan, I passed An Lochan Uaine, the Green Lochan, but it was decidedly dull looking without the sun on it. Further on, at Loch a` Gharbh-choire, a lone fisherman was setting up at the water`s edge, the last person I saw until some dog walkers near Glenmore Lodge at the end of the day. Bynack Stable is a well known refuge and although it`s only a large corrugated hut, anchored by steel cable, no doubt it`s shelter would be very welcome in the event of an emergency. From there, a good track leads onto an extensive plateau, and it`s easy walking, southwards, to gain the summit ridge. As well as doing Bynack More, I`d considered continuing on to A` Choinneach, its subsidiary top, then walking back, up and over Cairn Gorm. After a recent storm, however, the hills were well-plastered with lots of unstable snow and I found I was walking into a strong head wind. My feet were soon badly blistered, probably due to lack of exercise, so I decided head back the way I`d come. Despite it being very cloudy and threatening, it stayed mainly dry throughout. There were even a few sunny spells but the gales prevented the walk from being as enjoyable as it might have been. I took in the subsidiary top of Bynack Beag first then, after a cup of coffee, headed up to the summit proper where I spotted a pair of Ptarmigan. They obviously had a nest in the vicinity as they didn`t stray far and I spent the next ten minutes stalking them with the telephoto lens. 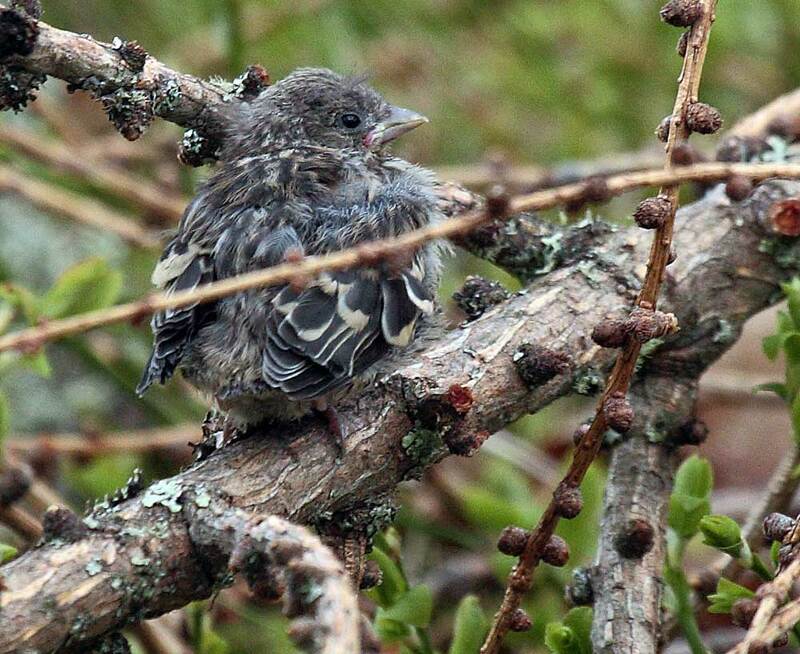 Shortly afterwards, as I headed down across the plateau, I spotted three smaller brown birds. A squint through the binoculars confirmed that they were Dotterels, always good to see on the Scottish hills. I dropped down early to gain the path along the east side of the River Nethy and negotiating the edge of a gully I startled a couple of young stags pottering about in the burn. 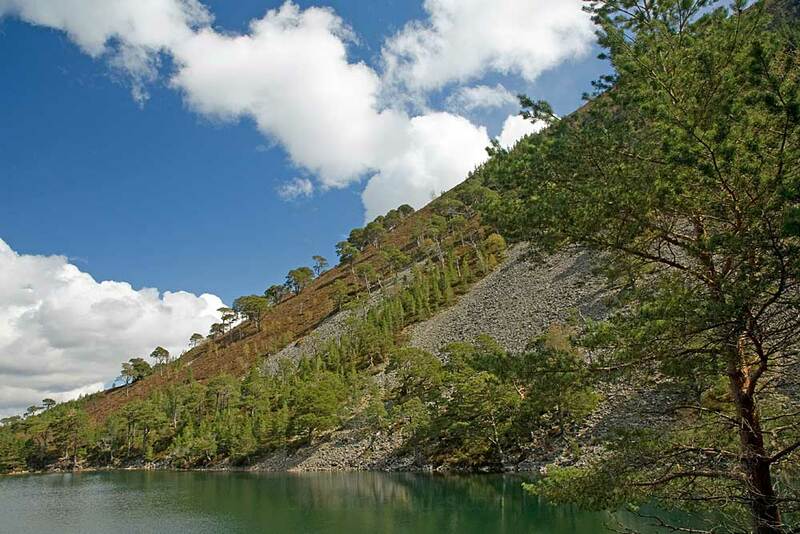 A ten minute stop at the `Stable for a last hot drink from the flask then it was back to the car by which time the sun was shining on An Lochan Uaine - with the water now a vivid green colour it was easy to see why it gets its name. Back at the car I got changed but inadvertently left the car keys in my hillwalking trousers, put them in my hold-all, and locked them in the boot of the Metro. Although the car door was open, I couldn`t open the boot from the inside. After a great deal of effort I managed to force my arm down a small gap between the rear parcel shelf and tailgate and fish out the keys. What a plonker ! This was the only day of decent weather during our week-long summer break at Carrbridge. I started from the end of the ski road in Coire Cas just after 6 a.m. where I found the car park to be even more of an eyesore than usual with work well under way on the new Cairngorm mountain railway. Surprisingly another couple of walkers had arrived before me but they were heading up Cairngorm. 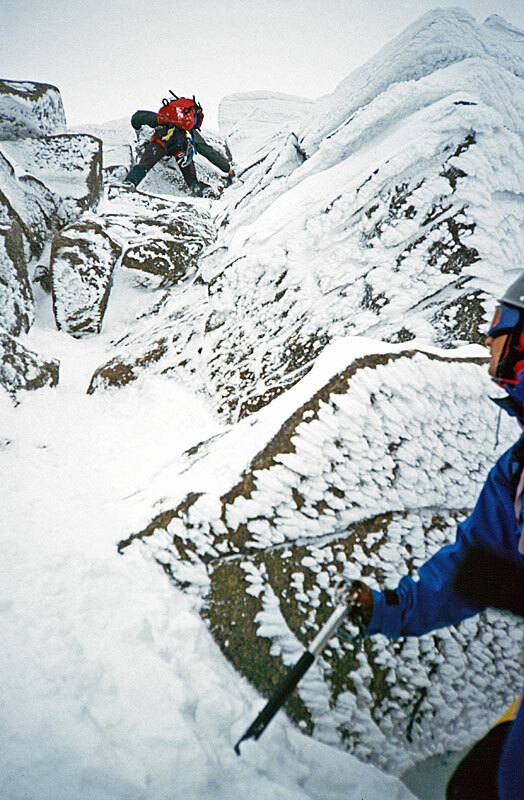 The route to Braeriach goes via the Chalamain gap, a narrow, boulder filled pass which can be avalanche prone in winter, then descends to cross the Lairig Ghru where the peak`s Sron na Lairig ridge is climbed, initially southwards, then west towards the summit. The early start paid off and I got to the top just before 10 a.m. with no one else in sight. It was a very still morning and quite warm so I sat at the cairn for a while admiring the view and watching the resident flock of inquisitive Meadow Pipits. I then did a round of the plateau to take in most of the subsidiary tops and saw a male Ring Ouzel, two batches of Ptarmigain chicks who thought their camouflage was more effective than it actually was, and a pair of Dotterels. Another start from the ski car park half way up Cairngorm. 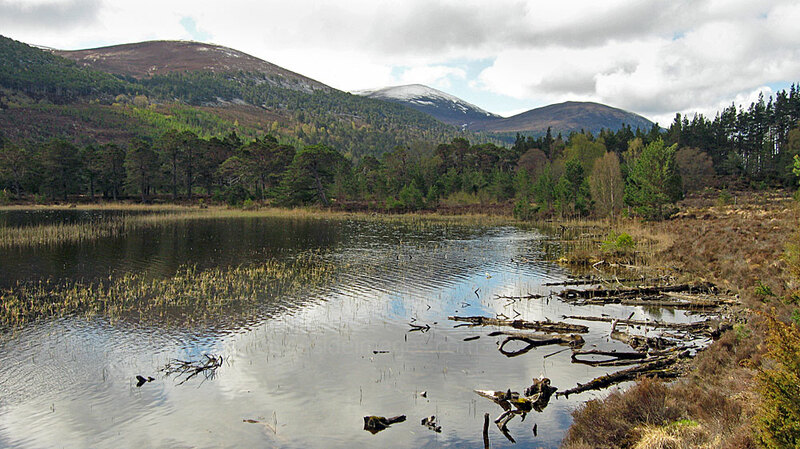 Although this is the nearest location, as the crow flies, to Beinn Mheadhoin`s summit, the ascent from the ski road entails crossing Cairngorm, dropping approximately 400 metres to Loch Avon, then climbing a similar height at the far side of the loch before starting on the target peak itself. The same effort is required on the way back. Unfortunately, cloud clung to the highest ground and blocked any view until I`d crossed Cairngorm and started the descent into Coire Rairbert. Even so, Loch Avon and its surroundings looked impressive. I just managed to keep my feet dry crossing the river at the head of the loch then followed the path, steep at first, passing near to the Shelter Stone, a famous Cairngorm `howf`. Once on the plateau fairly easy slopes lead up towards Beinn Mheadhoin`s summit. 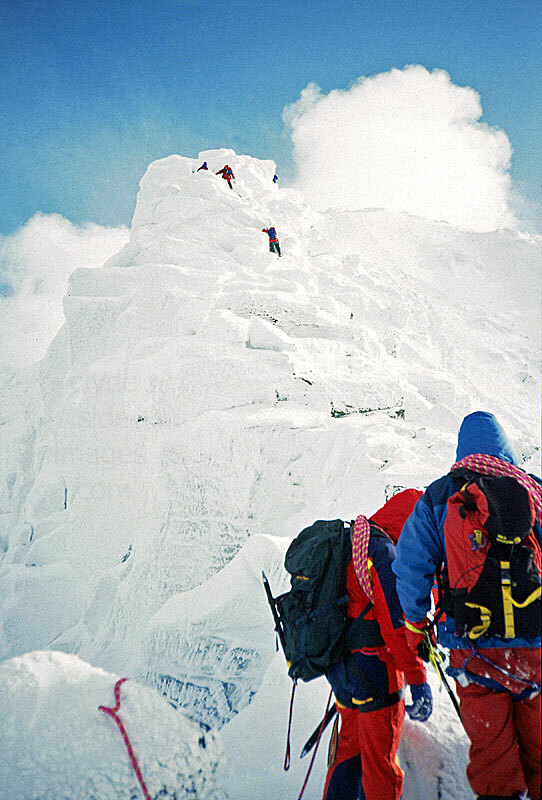 Just short of the top, I was again enveloped in cloud and it became a navigation excercise, so I only took in two of the three subsidiary tops. I saw quite a few Ptarmigan though, including five `furball` chicks and an adult bird running off from its nest beside one of the tors near Beinn Meadhoin`s summit. A couple of Tornados overflew low near Ruthven Barracks on the drive back. 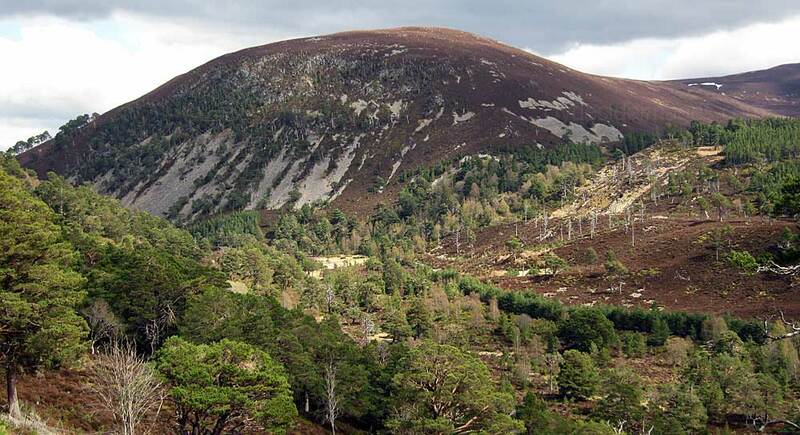 An excellent way to appreciate the wild nature of the northern Cairngorms, albeit from a distance, is to climb Meall a` Bhuachaille (2,403ft / 732m) pictured above. 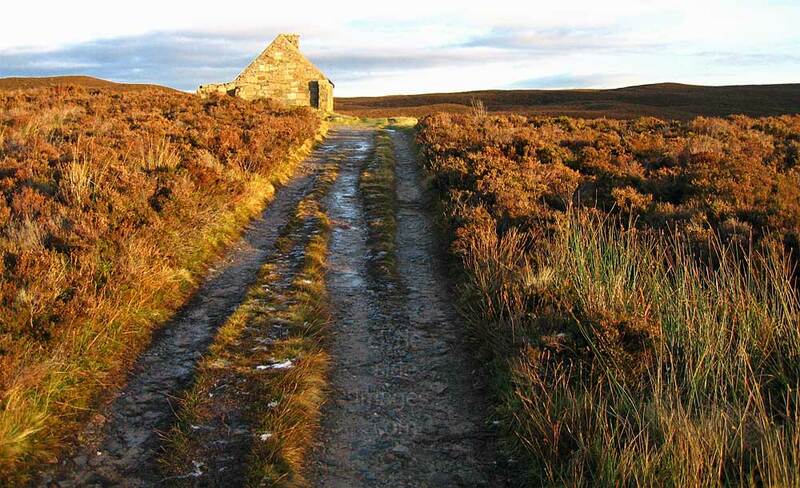 Ryvoan Bothy. 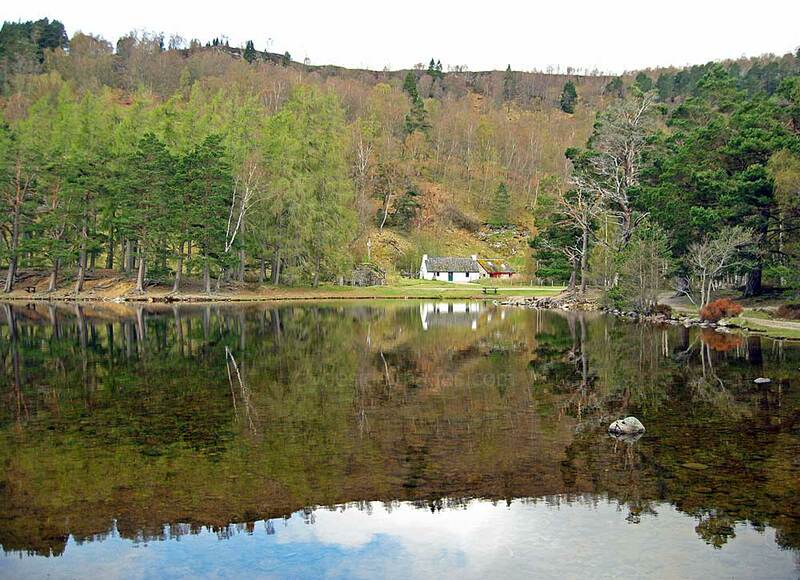 This refuge sits alongside the Pass of Ryvoan which leads into Strath Nethy. 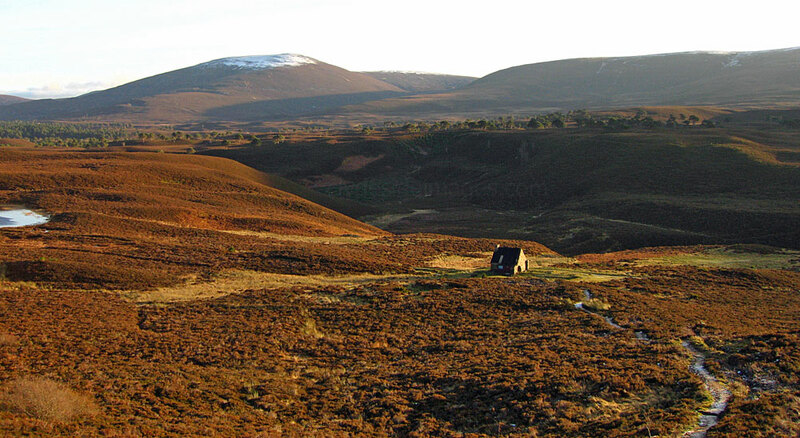 Behind the bothy a mountain path zigzags up the east end of Meall a` Bhuachaille (2,403ft) and although this long whaleback of a hill is well below Munro height its traverse allows walkers to gaze across at the Northern Corries of Cairngorm. 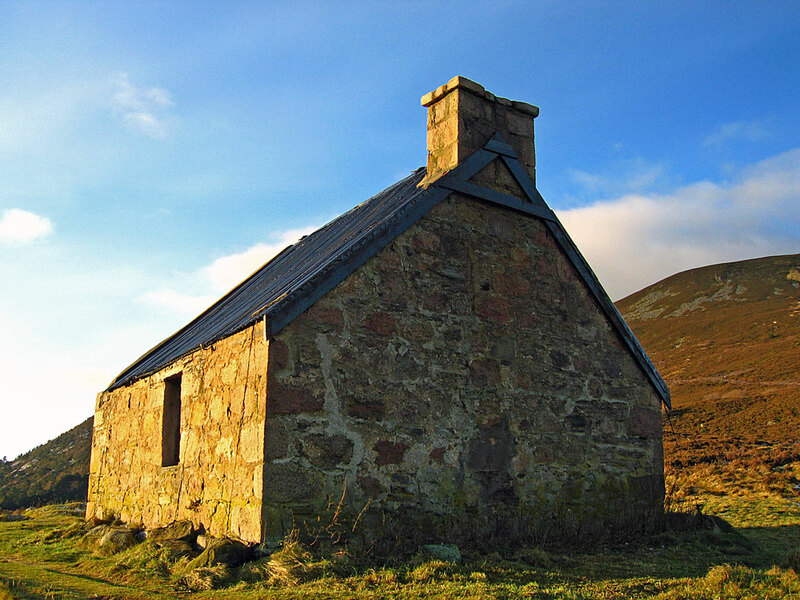 It has been something of tradition that each refuge has a `bothy book`, usually an old jotter which acts as a vistors` book, although they are often only filled-in out of boredom when adverse weather prevents the bothy goers from venturing out. Some books have ended up on the fire when combustible material runs low and on occasions pages have been torn out in an emergency as substitute toilet paper! This anonymous verse was found in Ryvoan Bothy during the Second World War. 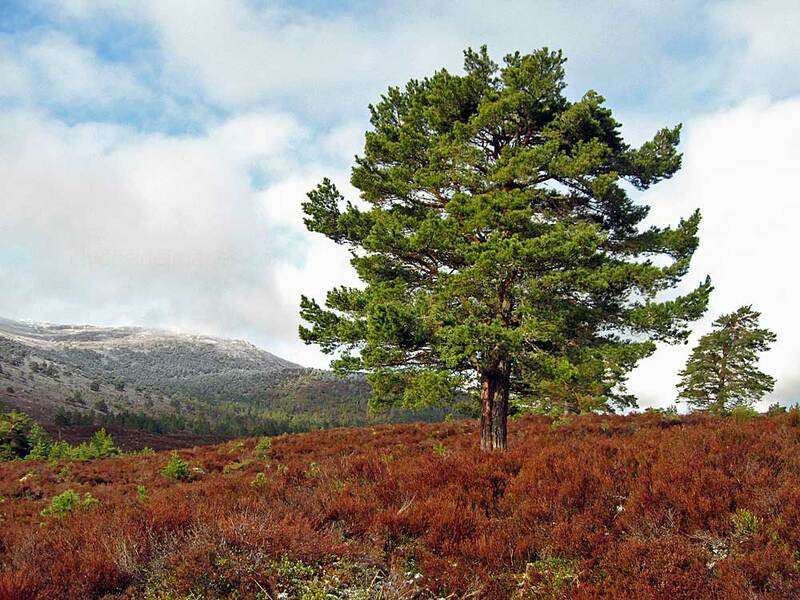 Its author, probably a soldier on his last spell of leave before he went into action overseas, ​was clearly well acquainted with the Cairngorms. I shall see the hills again. 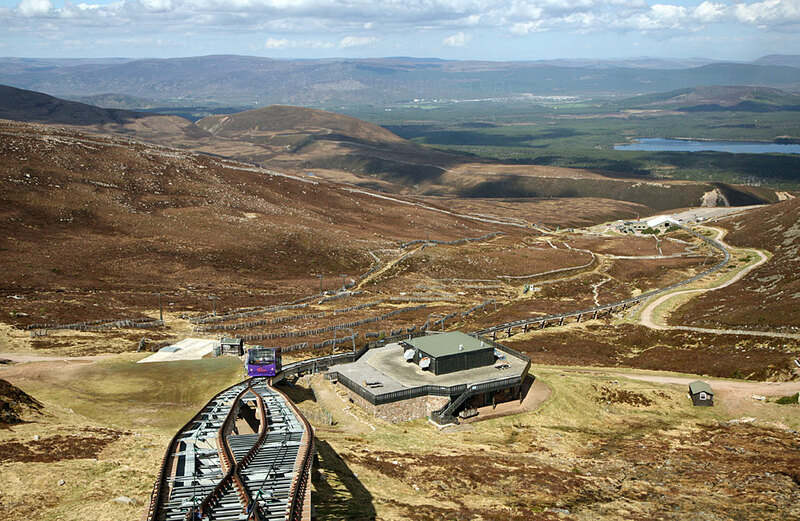 at the back of Cairngorm. from the heights of Sgoran Dubh. I shall see the sunrise gleam. And Strathspey awake from dream. the dark waters of the Green Loch. and the Pass above Ryvoan. Will find them wondrous kind. 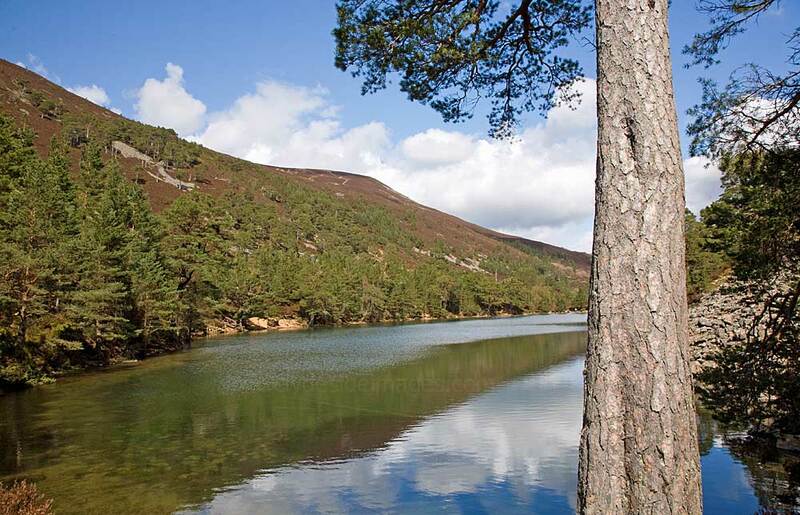 ​​A circuit of Loch an Eilein is one of the best low-level walks in the Rothiemurchus Estate and lies close to the western edge of the Cairngorm Mountains. 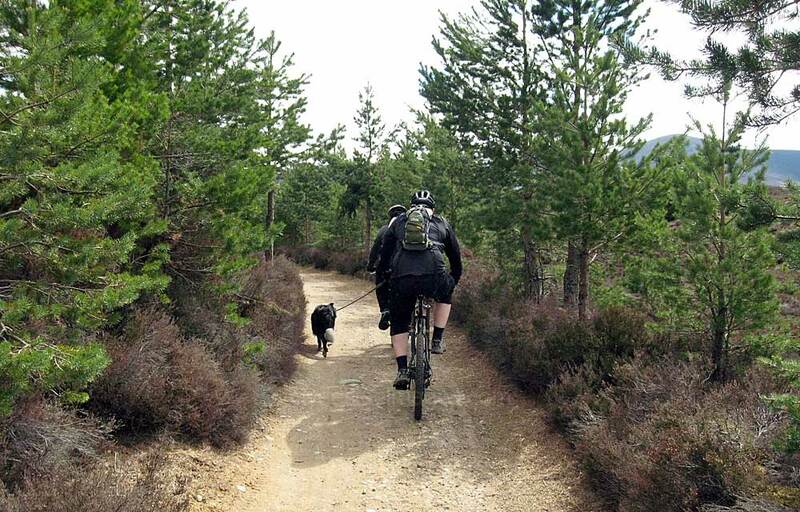 The whole area is popular with mountain bikers and dog-walkers and, as can be seen here, some people even combine the two! ​Early morning is the best time to visit the area before the crowds arrive. 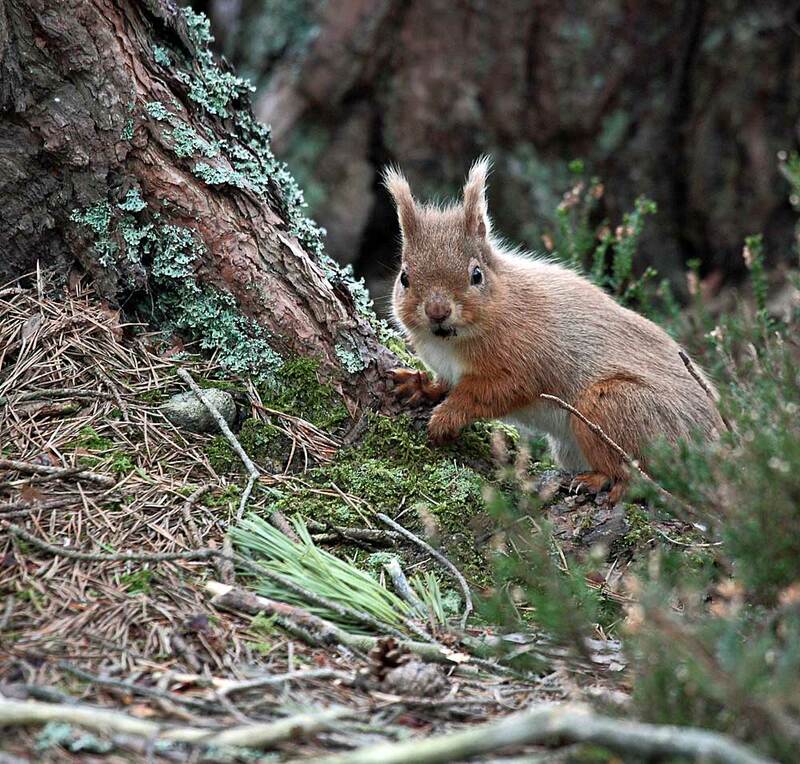 Wildlife including Red Squirrels, Roe and Red Deer are regularly spotted. 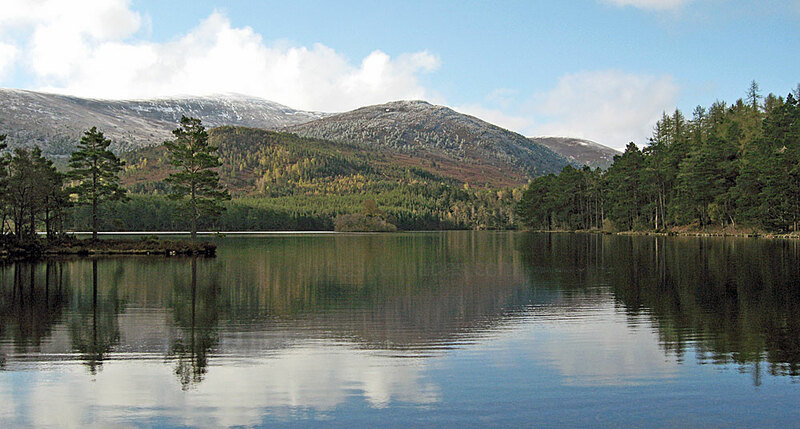 Loch Gamhna (below) is a small loch just south of Loch an Eilein and is worth including in a circuit of the main loch. 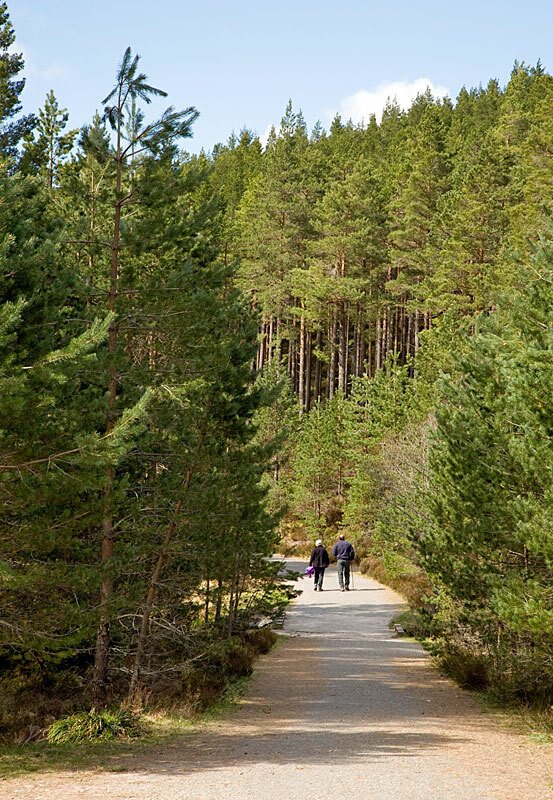 Any walkers who prefer a longer hike and / or wish to avoid the parking fee should start at Tullochgrue, accessed from the Aviemore to Coylumbridge road. 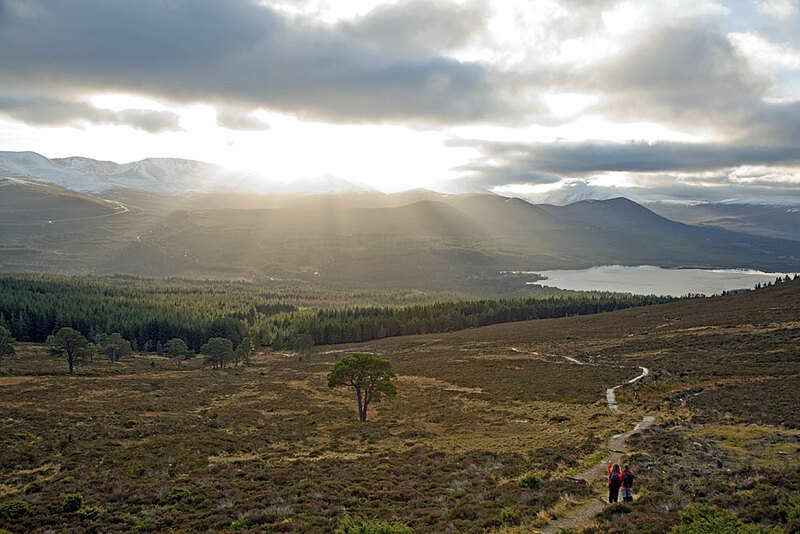 The elevated position gives excellent views over Loch Morlich and towards the Lairig Ghru and a track can be followed to Loch an Eilein. Bird life is excellent throughout, particularly in the woodland surrounding the loch while on the water itself geese, Goosander and various waders can often be seen. 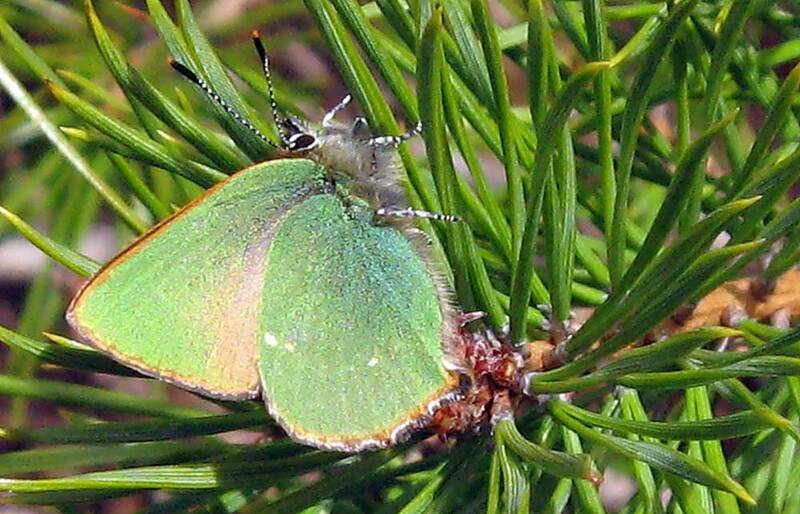 A Green Hairstreak Butterfly (Callophrys rubi) etc*. 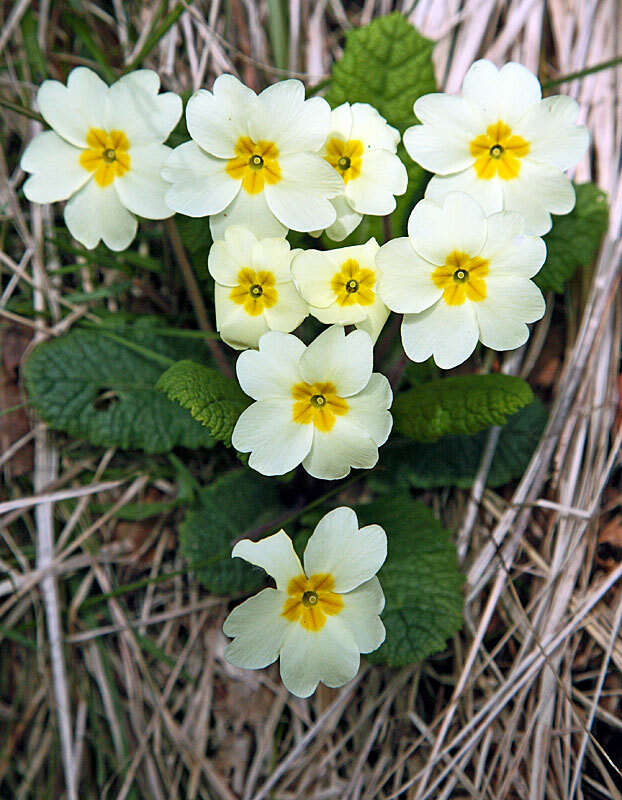 They are fairly widespread throughout the UK. The small Visitors` Centre stands close to the parking area. 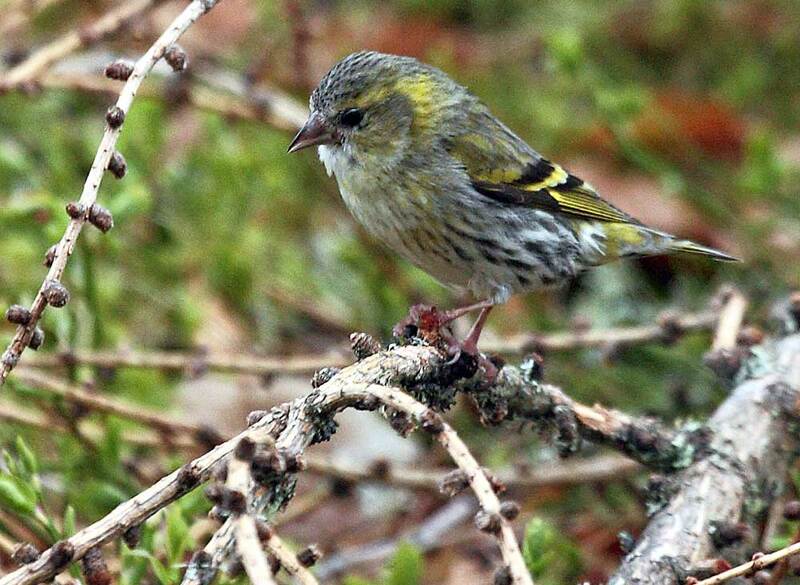 A Pied Wagtail is pictured above with a Siskin below. 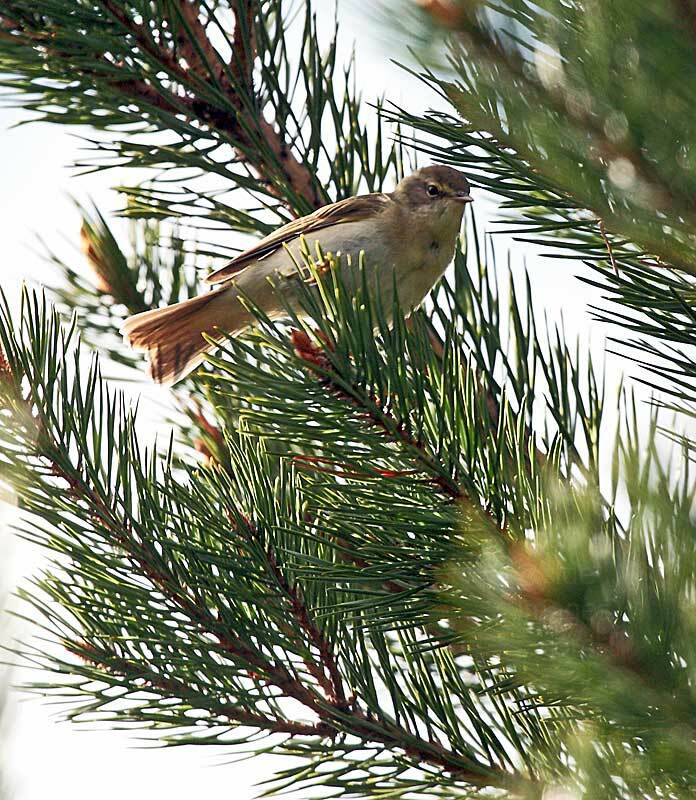 A Treecreeper searches for insects on the mature pine trees close to the loch shore. This picturesque ruin occupies a small island in Loch an Eilein in The castle was thought to have been built by Alexander Stewart, the Wolf of Badenoch, in the 14th century. During the Victorian era Osprey nested in the castle ruins but eventually gave up due to continued persecution. Part of the 14th century keep survives along with a hall block and other small structures enclosed by a small courtyard which apart from the keep are all later additions. In later years the castle was held by various clans including the Mackintoshes, the Gordons, and the Grants. 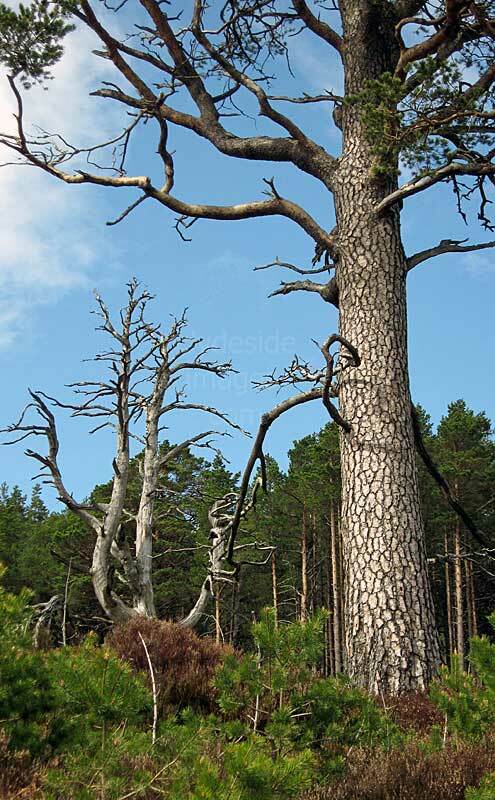 It resisted an attack by Jacobite forces after their defeat at the Battle of Cromdale in 1690 when it was attached to the shore by a short causeway. The castle was last used in 1715 when it served as a prison. Close to the car park are the remains of a limestone kiln. A large amount of timber was also felled here in years gone by.